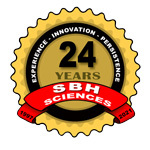 SBH Sciences coauthors "GM604- A multiple-target regulator that provides a novel therapeutic strategy for treatment of ALS and other neurodegenerative diseases"
Galectin Therapeutics Announces Relocation of Corporate Headquarters to Atlanta, GA, while maintaining the excellent work being done by our Collaborators at SBH Sciences. A Full Spectrum Of Preclinical Oncology Services is Enabled by the New Strategic Partnership of SBH Sciences and Woodland Oncology Services. Video and Text of the speech given by Raphael Nir, President of SBH Sciences, during the Massachusetts-Israel Innovation Partnership (MIIP) event.